It was a Kettle One and Tonic kind of night. We were settled into our horse show groove in Reno and decided to take ourselves to a nice dinner with Krissi. 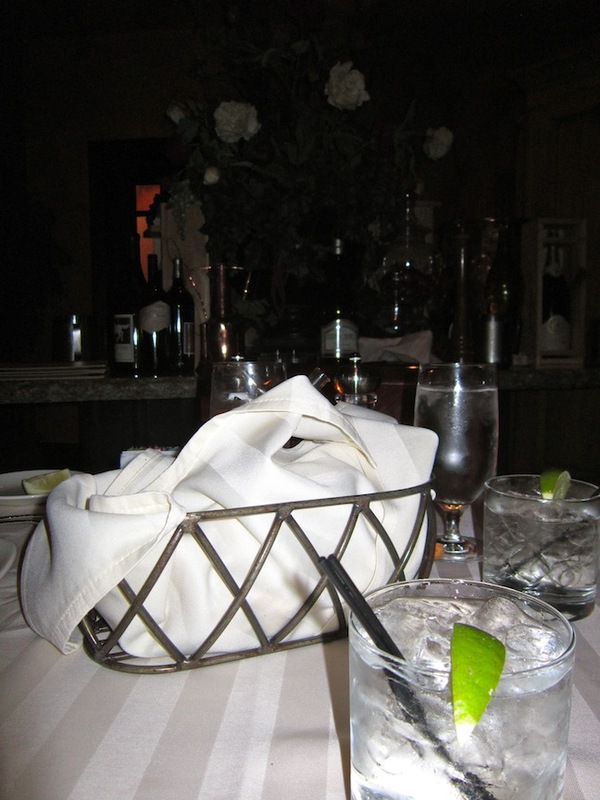 We walked into the El Dorado Casino from the Silver Legacy and decided to give La Strada a chance. 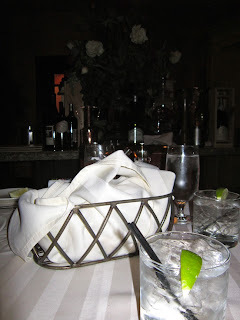 The restaurant was dark and set the mood for the carbohydrate heavy meal we were about to consume. 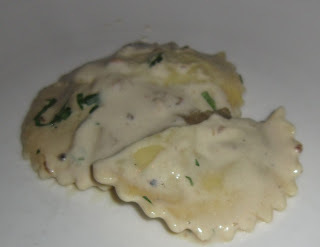 We shared an order of the mushroom Ravioli, apparently they are famous for this dish and it was good. Was it great? I would say about as good as mushroom ravioli can be! The sauce is what they should be famous for, creamy and worth every drop. 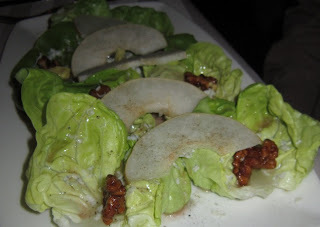 Scott had a Butter Lettuce Salad with pear and caramelized walnuts. He loved it. This is just a warning. I had scallops three times during this trip to Reno, I don't know why I was so stuck on them! These scallops were a solid second place in my Scallop Eating Adventure. You will soon see first and third place in future posts. They were seared nicely, maybe a little over cooked but the Corn Risotto was outstanding. It made the dish sing! 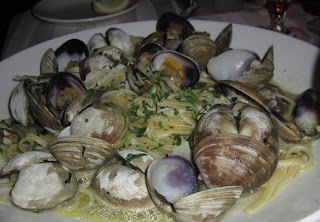 Krissi surprised me and ordered Clams. I was so proud of her! The dish looked great and even better for mopping up the juice with the bread at the end! 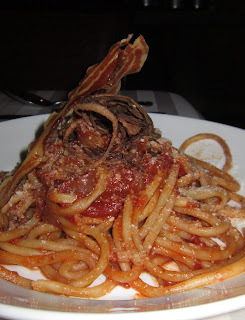 Scott got talked into Bucatini with a pancetta marinara sauce. He thought the bucatini was a little too chewy for his taste. 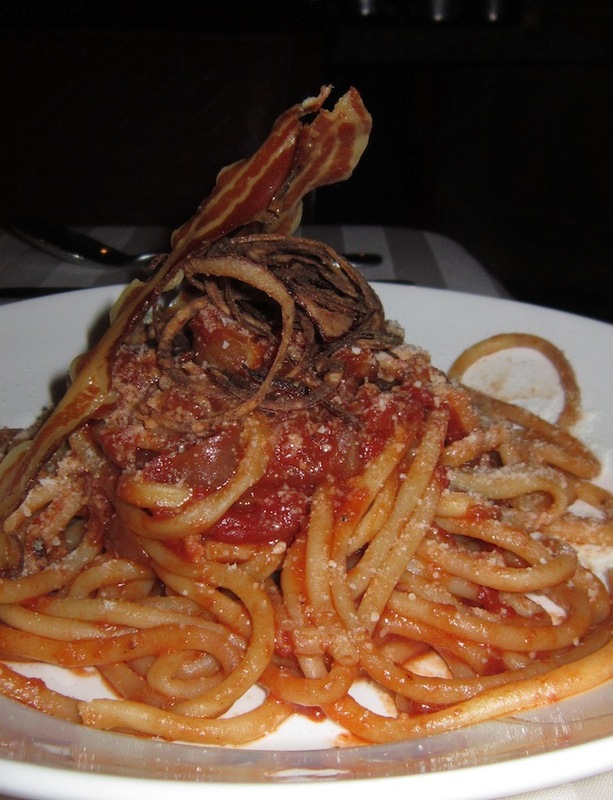 Bucatini is long hollow strands of pasta so it sometimes tastes a little under al dente. The gravy was fine and the slice of pancetta was amazing. The meal was overall satisfying. It was on the pricier end of the restaurant spectrum but worth trying something new.